If you want to host a magical event this year, think witches and wizards. 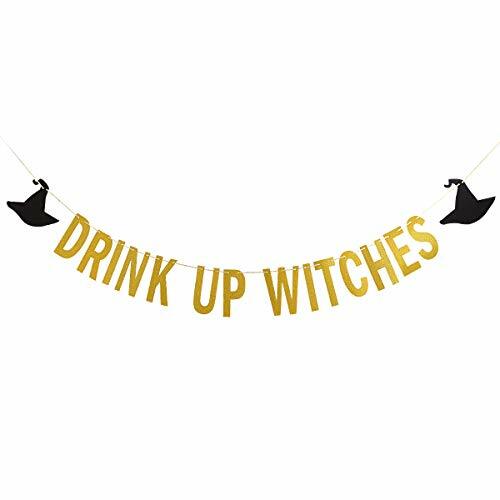 Theme Halloween party decorations are readily available for the witch motif in the holiday aisle of drug stores and discount department stores during the weeks leading up to Halloween. Decorations for the wizards motif may require a little more effort. Here are a few witches and wizards theme Halloween party suggestions to get you started. Invitations for your witches and wizards theme Halloween party should help convey the theme. One simple yet effective idea is buy black magic wands. Write or type the invitation copy on witch motif paper or use white paper and decorate it with witches and wizards clip-art. Attach the invitations to the wands using orange and black satin ribbons. Mail in a padded envelope. Stars are a common element appropriate for a witches and wizards theme Halloween party. Buy or make hundreds of gold and silver stars of different sizes. Sprinkle tables with the small ones. Hang larger ones from the ceiling with clear fishing line in varying lengths. Using clusters of stars above sofas and chairs can be particularly effective. Another place to cluster the stars for your witches and wizards theme Halloween party is in corners. Start with small stars and short pieces of clear fishing line close to the wall. As you work your way out from the walls, use progressively larger stars and longer pieces of fishing lines. The idea is to create the effect of the stars flying into the room. Another option for your witches and wizards theme Halloween party is to use balloons to cover the ceiling. Use white, blue and purple helium filled balloons. Cut varying lengths of black ribbon. For each balloon, tie a piece of black ribbon. Then attach a medium or large sized star to the other end of the ribbon. when the balloon reaches the ceiling, the star will dangle below. Mylar balloons last longer when filled with helium than later balloons, but they are more expensive. Besides balloons, or in addition to balloons, you can tent the room for your witches and wizards them Halloween party. To tent the room, you will need a large cloth such as a parachute from an army/navy surplus store or one or more king size bed sheets. Use a dark blue, purple or black color cloth to tent a room, attach the cloth to the ceiling in the center of the room and in each corner. You can use push pins, thumb tacks or a staple gun. 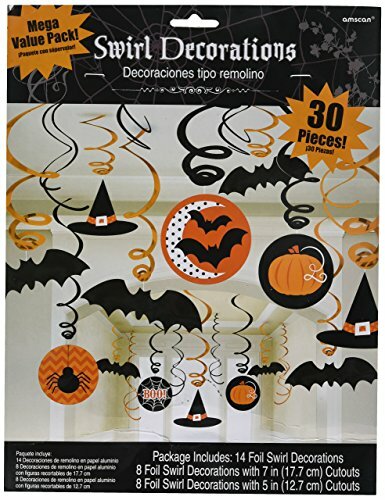 Other accents for your witches and wizards theme Halloween party can include store-bought or home-made cutouts of witches, cats and bats. Those can be hung from the ceiling, stairway railing, mantels and potted tree limbs. Tape down the walls, doors and windows. Don't forget spider webs. Spread spider webbing throughout the room on lamps, potted plants and lamp fixtures. 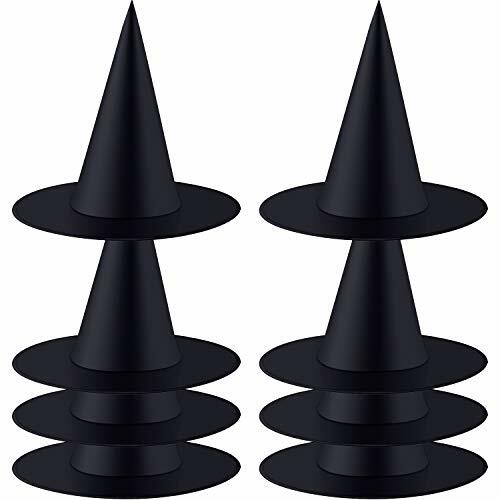 Cut stars from foam or styrofoam and attach them to some black magic wands to make wizard wands. You can also get a crystal skull or crystal ball to use as a table centerpiece. One final decoration idea for your witches and wizards theme Halloween party is to create a witch. Pin a black cape on a wall. Attach a witch's hat above it. Add a black plastic Calderon with dry ice directly beneath the witch to complete the effect. You can adapt this idea to create a wizard on another wall, replacing the black plastic cauldron with a spell book on top of a stone-looking pedestal. Dishes that you serve for your witches and wizards theme Halloween party can be just about anything you like, depending on the age range of the party participants. For appetizers, consider tortilla chips and salsa, potato chips, cheese and crackers and party mix nuts. Barbeque turkey, garden salad, minestrone soup, and sourdough or pumpkin bread are good choices for a main course. Dessert dishes could include sugar cookie pumpkins, chocolate cake, pumpkin ice cream and candied apples. Use these witches and wizards theme Halloween party ideas to set the stage for your event. This Halloween party theme can be used for both kids and adult parties and it avoids macabre elements often associated with Halloween. So go ahead, use these ideas for instruction and inspiration in pulling off an unforgettable mystical happening. Adapted from The Penny Whistle Halloween Book, by Meredith Brokaw and Annie Gilbar (Fireside).